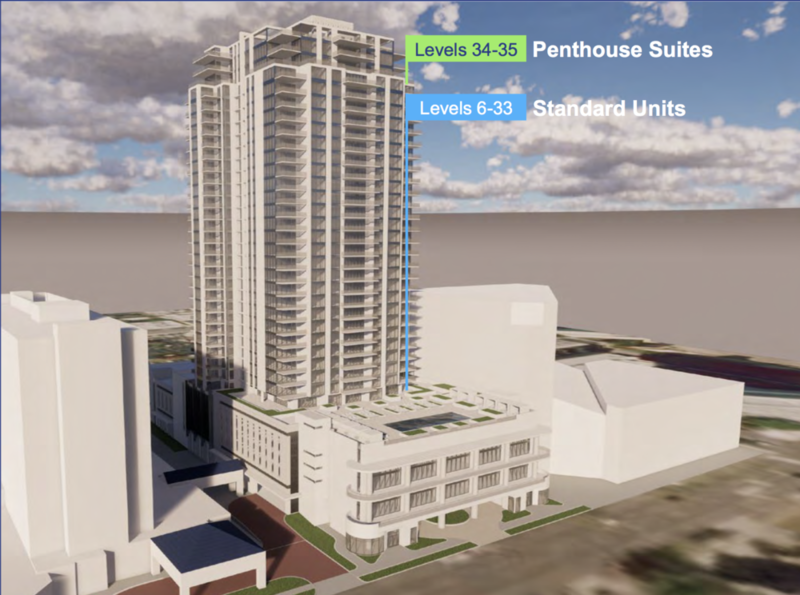 Five weeks ago it was revealed that the Kolter Group, the developers behind ONE St. Petersburg, a recently constructed 41-story condo and hotel project, were planning a second tower in Downtown St. Petersburg, FL. After the success of ONE, which completely sold out over six months before completion, Kolter knew the downtown market had an appetite for more condos. 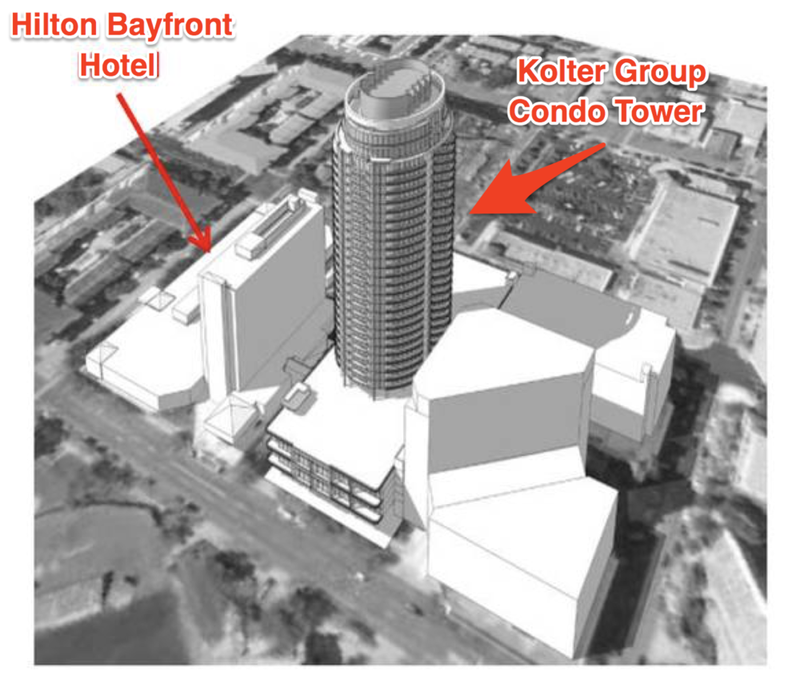 Kolter’s second project is proposed just three blocks south of ONE in the parking lot of the Hilton Bayfront Hotel and directly across from Al Lang Stadium. New information has surfaced about the project, which is now preliminarily known as Bayfront St. Petersburg. While it was previously announced that the tower would soar 35-stories, include 200 condominiums and ground floor retail, we now know a few more specifics about the total cost, the construction timeline, and what the tower will look like. But despite Julien’s excitement, many wondered whether St. Pete was ready for a project of this magnitude. How would these units be received in the market? Back then there was a sense of emergence, a feeling that Downtown St. Pete was on the brink of something special in the creation of a livable and workable urban center. In 2014, it wasn’t quite there yet, but it was close. Flash forward nearly five years later and construction is just wrapping up on 450 foot tower, now the city’s tallest building. Every single one of its 253 condominium residences sold out over six months before completion, and many have hit the resale market, some with nearly 42% premiums.